"Doug always gives me great advice that really helps my business positioning." Douglas J. Shumway is a licensed attorney in the states of Utah and Texas and has a wide-ranging transactional law practice, with significant experience in startup law, corporate law, securities law, commercial and land financing transactions, construction loans, and complex purchase and sales of assets. 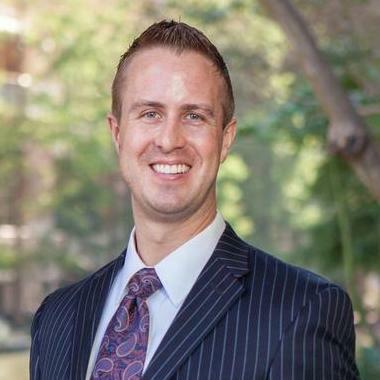 Mr. Shumway's practice since 2012 has focused very heavily on business and technology law and he spends the majority of his time representing businesses and venture capital organizations. "Team is great and through." "Working with Douglas was a pleasure. Doug took the time to explain what each clause in the agreement was and did about 3-4 iterations as the negotiations went on with the other side while the agreement evolved. He also proactively proposed clauses that I was not aware of that made the agreement even stronger." "I have had great experiences with this firm. Anytime I call the office, the staff is really pleasant and helpful. Mr. Shumway has given me great business advice that really helped my business positioning. I highly recommend this firm!" "I have worked with Douglas (Shumway Van) for a few years now and have really enjoyed the experience. Douglas and his staff are the hardest working Law firm I have ever met. The staff has been more then helpful. I have referred at least 5 of my friends to Shumway Van. I know I am in good hands." Partner at the law firm. Lead transactional attorney for the Salt Lake City office.